The holiday season is a great opportunity for eCommerce store owners to increase their sales and customer base. With Black Friday and Cyber Monday around the corner, every store owner is busy devising the perfect sales strategy on their store. You will find a list of awesome deals in the WordPress ecosystem in our article on popular Black Friday deals. But, how can you set up a deal on your WooCommerce store without really affecting your profit margin? Is it going to be a huge manual effort to create sale price on all your products? In this article, we will discuss some of the popular plugins that you can use to enhance your Black Friday & Cyber Monday Sales on your WooCommerce store. Here is a look at some of the plugins that would be really helpful to configure Black Friday and Cyber Monday sales on your WooCommerce store. This plugin is a comprehensive solution to configure discount coupons, vouchers, gift certificates and store credit. 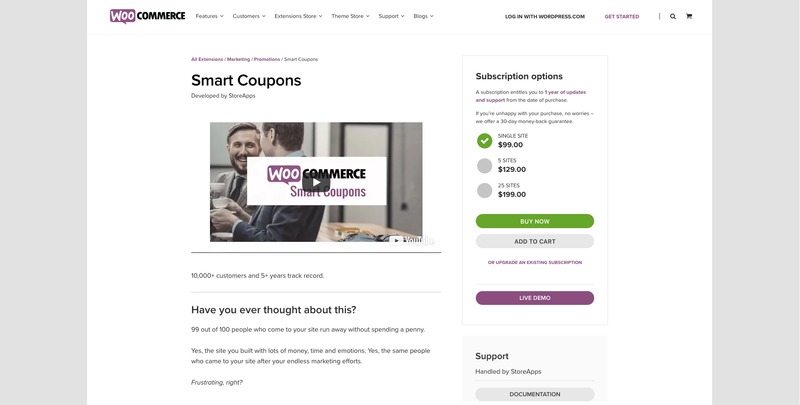 Though WooCommerce does have an in-built option to create and manage discount coupons, this plugin enhances the scope of coupons and gift vouchers much more. In addition, customers will be able to purchase credits for themselves, or purchase and gift others. 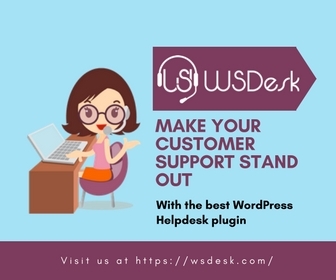 It is compatible with some of the other popular plugins like WooCommerce Subscriptions and Chained Products. Here is a look at the capabilities of Smart Coupons that would be extremely useful during a sales event. You will be able to create a large number of coupons at once. Moreover, you will be able to email them to a list of customers. It also offers an option to export the coupons you have generated via a CSV file. This will be helpful if you want to share the bulk generated coupons with your marketing partners. Holiday season would warrant huge traffic on your site. However, there is a solid challenge to enhance the conversion rate a this time. With the help of time-sensitive discount coupons or gift certificates, you will be able to improve the conversion rate. Moreover, you will be able to cross sell by offering conditional discounts where purchase of one product makes the customer eligible for a discounted price on another. You will get a large number of new customers during the holiday season. If you are able to turn a percentage of these new customers to long term customers, it would mean a lot to your store strategies. With a well-structured store credit system, you can assure return customers on your store. Customers will be able to maintain the store credit by purchasing new credit, and use their available balance the way they like it. There will be many cases where customers don’t know what to purchase as gifts. In such cases, the perfect option would be to go for a gift certificate. This plugin offers you great options to personalize the gift certificates with custom messages added to it. While using coupons, it will be really professional to design them with your stores’ logo and design elements. Smart coupons provides you great options for this as well. You can use CSS to design coupons on your site. Customers leaving your site in search of coupon codes can be a big reason for cart abandonment when you have a coupon strategy. This can be managed to an extent by displaying all the available coupons in the Cart page. You can embed coupons with a shortcode or using the coupon insertion tool in the content editor. The single site subscription of the plugin would cost $99. For 5 sites, the cost would be $129 and for the 25-site subscription it would be $199. Setting up discount rules to offers discounts would be a sensible option during this sales season. This plugin would be of great assistance to help you set up diverse discounts on your store. The primary advantage of using this plugin would be that you don’t have to create simple discounts for your products. You can devise a lot of discount strategies at different levels and offer discounts. You can make use of the analytics inputs and accordingly set up varied discounts. The plugin is a great tool to create discounts with different product combinations or specific categories. You can also create discounts at the cart level or individual product levels. If you thoroughly analyze your products, there would be great scope to boost the sales of certain slow-moving products during the sales season. In addition, you can enhance the sales numbers and increase your total revenue as well. For Black Friday & Cyber Monday, you can simply create a flat percentage discount for all the products on your store. However, with the plugin, you can create a variety of interesting deals that will be more focused on your long term strategies. A few examples of dynamic pricing deals that you can try on your store. Buy two units of Product A and B to get a flat 15% off. Buy more than two items from Category A and get a 20% off. Purchase at least three products and get a 25% off with maximum discount limit of $50. Buy two products from Category A and get product C free. Get 25% off for all purchases from a specific email ID. 10% discount for all who are tagged as ‘loyal customers’ (user role). The plugin also helps to display these deals on the product and shop pages as well. Overall, ELEX Dynamic Pricing and Discounts plugin is a great option to set up long term discounts on your store. If dynamic discounts are part of your marketing strategy, this is one of the best options you can get in the WooCommerce ecosystem. The single site subscription of the plugin is priced at $79. Pimwick has developed a plugin totally dedicated to configuring Black Friday and Cyber Monday sales on your WooCommerce store. Often when you are setting up deals on your WooCommerce store, you will have to use a set of plugins together to get the desired results. This plugin works wonders for any sale event that you want to configure on your store. This plugin helps with multiple aspects to configure a sale on your WooCommerce site. Here is a quick look into the highlights of this plugin. You will be able to schedule the start and end time for the events you are featuring on your store. If required, you can club together multiple deals together for one event. Design the promotional pages with the help of the plugin. Timers for event countdown as well as event closing time. Ability to set order limits. Helps you offer a fixed 10% discount on your products’ regular price. However, you need to purchase their premium version to be able to set custom discounts percentage or fixed amounts. Configure Buy One Get One offers. Create multiple deals for multiple events. If you don’t want the complications of diverse price adjustment rules, and the hassles of coupon management, you can use this plugin to set up a sale price on your store. It is particularly useful if you have a large number of products on your store. This plugin has the capacity to bulk edit more than 10000 products at a time. And, with batch processing of products, the operation is quite quick and flawless. Moreover, if you want to offer Black Friday & Cyber Monday deals only on certain products, that can be done pretty easily with the filtering options. You can filter products before the bulk editing operation based on category, price, attribute value and a lot of other parameters. You can either edit the existing sale price, or add a new sale price to your products based on their regular prices. The plugin has an intuitive user interface and an undo option that could prove really handy if you made a mistake. If you prefer a simple configuration without the hassles of managing coupons, this is the best way to set up a Black Friday and Cyber Monday discount on your store. Please check this documentation to understand how to set up the discount using this plugin. The plugin can be used to bulk edit a lot of other aspects of your products including custom fields created by other plugins. A single site subscription of this plugin would cost you $69. Check our Deals page for an exclusive 10% discount on this plugin. Though this plugin is primarily used for setting up different prices for your products based on customers’ user roles, it can be used for price adjustments as well. More importantly, if you are focusing on offering Black Friday & Cyber Monday discounts based on user roles, you can use this plugin. 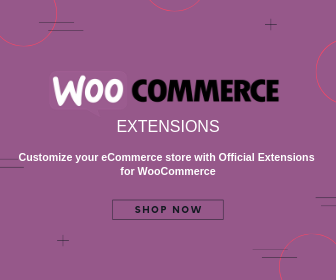 If you want to use your WooCommerce store for lead generation by taking off the eCommerce capability, you can manage that with a single click with this plugin. You can configure role based discounts as a percentage value or a flat rate on your store with the help of this plugin. The single site subscription is priced at $69, and you can use our exclusive deal to get a 10% discount on this plugin. How to Enhance your Black Friday & Cyber Monday Sales? Here are a few tips to improve your sales and traffic during the Black Friday and Cyber Monday sales on your store. If you had been hosting holiday discount sales on your store in the previous years, that data can be a great pointer to your strategies. Get actionable insights from your analytics page, and execute them in this year’s sale. Check out WooCommerce Google Analytics Pro for eCommerce specific analytics tools. Setting up a unique deal like free shipping might help you standout in the swarm of Black Friday & Cyber Monday deals. However, a more important aspect is to let your customers know about the offers you are running. Displaying offers in the right places is especially relevant for any WooCommerce store. Make your social media channels to good use to spread the word well in advance. Run multiple campaigns with teasers for the upcoming deals at least one week in advance. And close to the offer, keep banners or landing pages on your web pages for the offer. A countdown timer is the best tool to create a sense of urgency when featuring a deal on your site. It gives a psychological push to users to avail the deal as it implies it is gonna go away in the near future. A good tool you can check out for this would be YITH WooCommerce Product Countdown plugin. The plugin will help you create a sale bar and a countdown timer on your site. Just before a sale going live, it is a good idea to check if your site is working. Naturally, you are expecting a surge in traffic. So, you need to make sure that your site is all set to handle the additional load. If a surge in traffic results in site downtime, it can impact your holiday sales so badly. Be prepared to get in touch in touch with your hosting service provider in case anything untoward happens. 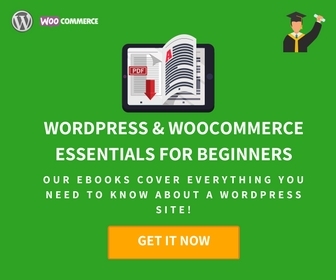 Checkout WP Buffs if you are looking for some continuous help from WordPress experts. 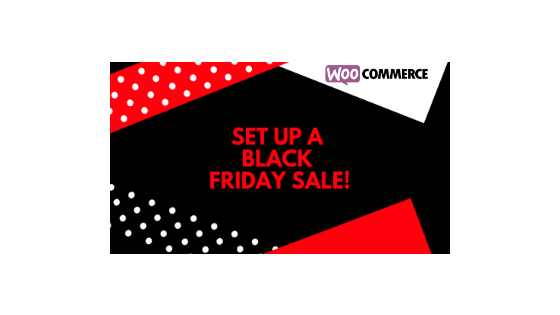 Checkout some awesome Black Friday and Cyber Monday Discounts related to WordPress and WooCommerce here. 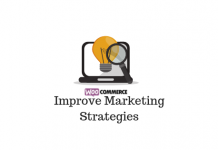 How to devise a great pricing strategy for your WooCommerce store? Previous articleHow to Add Web Push Notifications to Your WordPress Site?